There’s something truly special about the Disney characters . I grew up going to Disneyland, and one of my earliest memories of the Disney characters was when the Big Bad Wolf was in a parade and came over to me and I cried! It’s kind of funny now. Since my last name is Wolf, I think we’re kind of family. I’ve had many wonderful memories of the Disney characters since that old wolf scared the heck out of me, and into my adulthood I have never stopped getting that special feeling about the characters. I’ve witnessed grown adults crying tears of joy when meeting them, and I have heard extraordinary stories firsthand of how the Disney characters have touched people’s lives. It remains exciting for me to see the characters in different situations. When I was working on a project for Disney back in the ’90s, I obtained a list of what’s called “overdressings” for Mickey. It’s Mickey’s special wardrobe besides his usual outfit. There was Mickey’s space outfit, Mickey’s patriotic outfit, a cowboy outfit, raincoat and hat, and hundreds of others. I feel these outfits bring new dimension, versatility and freshness to the characters. Seeing the Disney characters in the “real world,” is also a special experience. The first time I saw Mickey Mouse outside of Disneyland was in 1988 when I was working at the Disney Studios, and Mickey visited the lot for his 60th birthday celebration. It’s a different feeling when he steps out of his world and into yours, making everything that much more believable. They had a photo location for employees to get a Polaroid photo with the birthday boy. There was a long line, and it was all adults waiting to snap a special moment! There was certainly no doubt that Mickey and his friends were not just for kids. One place that you can meet the Disney characters away from the resorts is on a Disney Cruise! Yes, those characters get around! 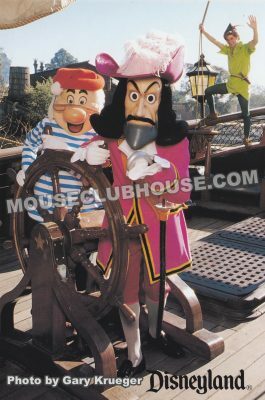 It’s great to travel to an island in the Bahamas, but even more memorable to disembark and see Captain Hook and Mr. Smee, from “Peter Pan”, with the beautiful tropical backdrop! (You can see my photo of the duo on Disney’s private island, Castaway Cay here). 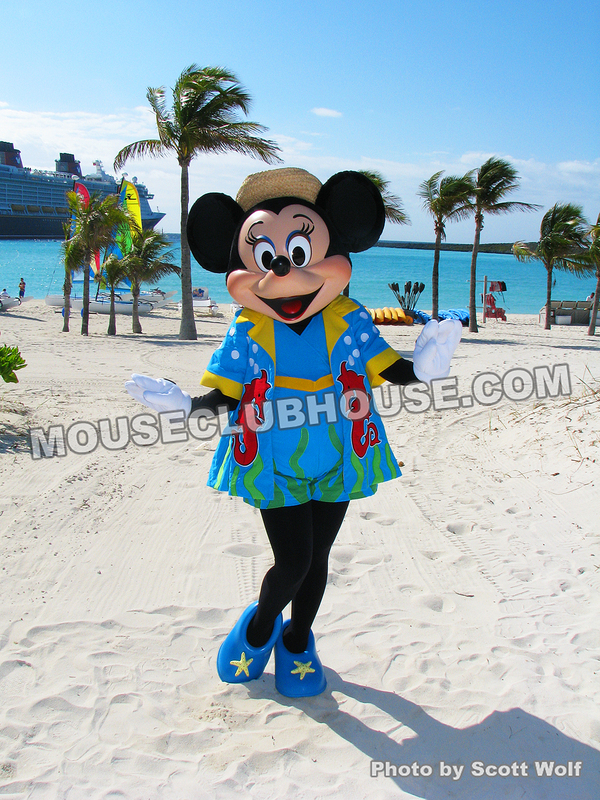 Above is a photo I took of Minnie Mouse on Castaway Cay, with the Disney Dream cruise ship behind her. There are two stories in particular that come to mind whenever I think of the impact of the Disney characters. The 1977 Disneyland Ambassador to the World, Susan Donald Edwards told me her memories of when she visited a children’s hospital with Mickey. A child who had been stricken with cancer talked to Mickey and the nurses seemed stunned. They were literally in tears. It wasn’t until after the meeting that Susan learned the child had not spoken for two weeks. 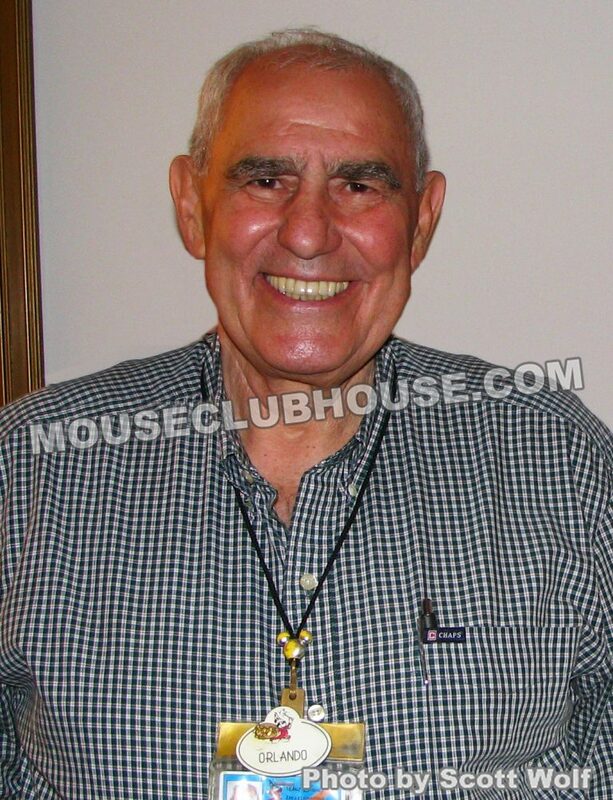 A similar story to Susan, the 1974 Disneyland Ambassador to the World, Carol DeKeyser Masters told me of when she visited a children’s hospital with Mickey Mouse. A little boy who had suffered a brain injury from a car accident had not spoken for over two years, and the specialists were trying to determine if he was what they call elective mute or if the brain was just not able to form words. When Carol and Mickey entered the room, the boy said, “Mickey Mouse,” and doctors and nurses fell to their knees crying. Carol did not learn of the situation until after the situation, and then was moved to tears herself. I believe that these stories really emphasize that the Disney characters are not just special, but that there really is something magical about them. Disney Cruise Line – All That’s Included! When you sail with Disney Cruise Line, you’ll find it’s all those little extras you get that add up to the most incredible vacation of your life. It’s all the accommodations, dining and entertainment – all included in the price of your cruise! Enjoy this video to learn more. Please contact me with questions or to get a free quote for your Disney cruise. I’m happy to help! Returning in early 2017, Disney Cruise Line you and your family can celebrate the legendary adventures and iconic characters from the Star Wars saga during Star Wars Day at Sea. Click here for a free quote and for more information. This Snapshot Sunday photo was taken on a Disney Cruise aboard the Disney Wonder. The ship’s show, “Disney Dreams – An Enchanted Classic” is a Broadway-style spectacular which includes all the best of what Disney has to offer. I took this photo with my Sony RX100 II and used an ISO of 800. On my RX100 IV I probably would have gone up to 1600. I used the minimal aperture, which was 2.8 since I zoomed in a bit. I purposely kept some of audience silhouette to show it was a live show. Because there was some quick action I should have brought the shutter up at least to 160 and then brightened the photo later, but I got lucky with a shutter of 100 and still retaining sharpness. I love the how the natural lighting helped make Mickey and Minnie the focal point. Feel free to write or comment if you want any more details about the photos, such as settings I used, etc. Here’s some big cruise news that we’re very excited about! The Disney Cruise Line announced plans today to build two additional cruise ships. Now, when we say “big” news, we mean big! The new ships, each approximately 135,000 gross tons with about 1,250 guest staterooms, will be slightly larger than the Disney Dream and Disney Fantasy! These new vessels will be built at the Meyer Werft shipyard in Germany, but you’ll have to wait until 2021 and 2023 to experience these Disney resorts on the sea. While design plans, ship names and itineraries are still in development, the Walt Disney Imagineering team is already dreaming up exciting new ways to create the world’s most magical oceangoing adventures and we’ll share details with you as soon as we learn more. Ill be happy to help you set sail on these new ships in the future, but if you haven’t experienced a Disney Cruise yet, I’d love to help you plan a Disney Cruise on one of the four existing ships, for a vacation you’ll never forget!